Once attached the contraption, he relives events that took place 500 years ago involving his ancestor, Aguilar de Nerha, who was part of The Assassins, a secret group fighting to stop the Templars taken over Christendom and ruling it with an iron fist. That involves a search for the Apple of Eden, where man’s freewill comes from. In the present day, Sofia is hoping Aguilar’s memories will reveal the location of the Apple, as she believes that finding it will bring about a new era of peace. However, there may be more to it than that. Having made Macbeth together, Michael Fassbender, Marion Cotillard and director Justin Kurzel have reunited for something rather different with Assassin’s Creed. The results however are very mixed. First to the good – it’s visually impressive at times and some of the action scenes are very nicely put together, despite an over-reliance on parkour style leaping and rolling. Some of its ideas are also quite interesting, and the giant robotic arm Callum gets attached to so he can relive his ancestor’s experience is also quite neat, especially in moments where the past and present become mixed together. However, there are also plenty of problems, not least of which is a lack of coherence. That’s largely due to having vast amounts of exposition where even if you’re really, really paying attention it’s tough to work out exactly who is who, what they’re fighting over and why we should care. That’s not helped by the fact that the Apple of Eden is a pretty eye-rolling maguffin, or that much of the film seems quite arbitrary and often random. The problem is summed up at a moment towards the end when Callum has to decide what side he’s on. However, the exposition has been so heavy and muddy up to that point, it’s tough to work out which side he’s supposed to be picking. Even during the ensuing frenetic action sequence, it takes about 30 seconds to figure out which side he’s chosen. 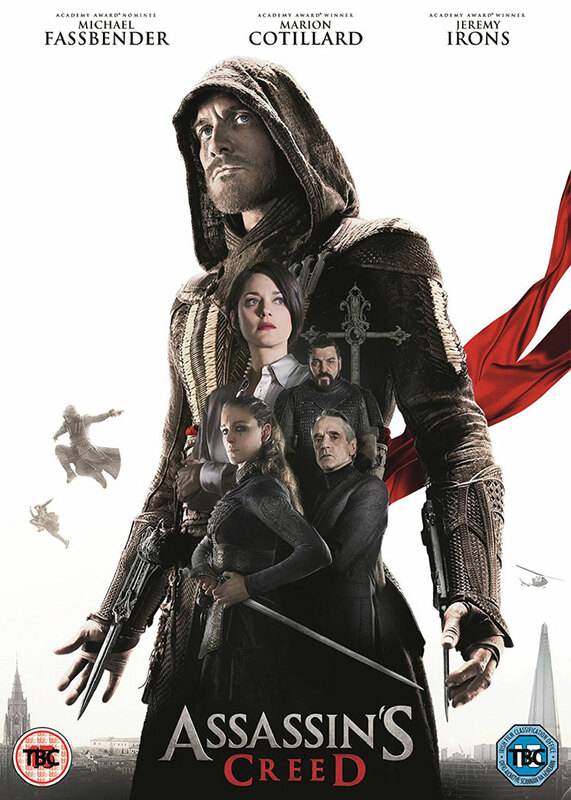 The people behind Assassin’s Creed have obviously seen the complaints about other videogame adaptations, and tried to address them with a movie with a complex plot and strong world-building. Unfortunately, they’ve ended up going the other way, so the whole thing is rather overstuffed and it takes itself so seriously that there are moments where it’s difficult not to want to snigger at its tendency towards po-faced pontification about things that are actually pretty silly. Most of the problems come during the dystopian sci-fi side of the movie, where logic often goes out the window and it occasionally verges on getting a little tedious. There’s far more fun to had when it jumps back 500 years and Aguilar is running around in the shadows as part of a pitched medieval battle between different visions for mankind’s future. What makes the whole thing particularly frustrating though is that from beginning to end, it’s clear how good this could have been. 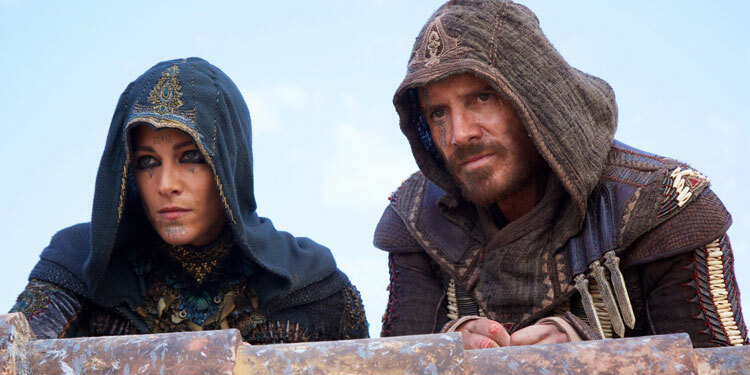 With a top notch cast, talented director, and plenty of elements that have enormous potential, Assassin’s Creed might have been great if they’d taken a little more time with the script. Instead it’s another in the ever growing list of videogame-to-film adaptations that haven’t really worked. When watching the pretty god special features, you can see exactly what they were striving for and hoping to bring out in the movie. If what was on the screen had been what they wanted it to be, it would have been quite a movie. As it is, it’s not. Overall Verdict: When it’s in the past Assassin’s Creed is pretty fun, but over-stuffed exposition and a tendency to take nonsense far too seriously in its sci-fi sections, undermines what could have been a good film.